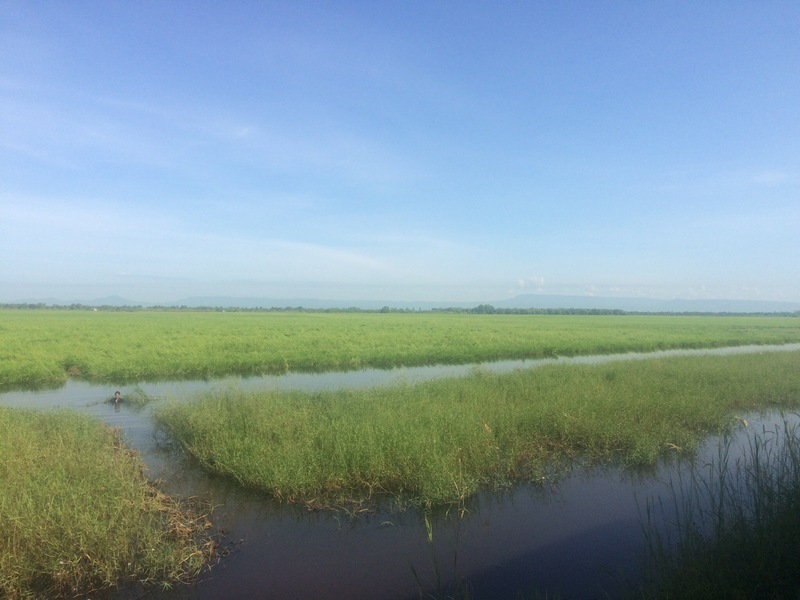 After several days in Bangkok I needed to flee to somewhere quieter and so decided to leave a few days earlier than planned for Battambang, Cambodia where I would soon be doing a 10 day meditation course. It’s not actually that far and the journey was done and dusted door to door between 4:30am and 4:30pm. It was a very dusty journey incidentally. Set off for the 5:55am train to Aranyaprathet from Bangkok with Amy from my hostel who was a smashing travelling companion for the 5.5 hours. We rattled through Bangkok through the dawn from the centre to the outskirts as the city opened its eyes right before our eyes. Train tracks run just meters apart from some people’s housing (the very poor parts of town of course), involving actually seeing one woman get up out of bed and open the curtains while we were stopped about 2 metres outside. 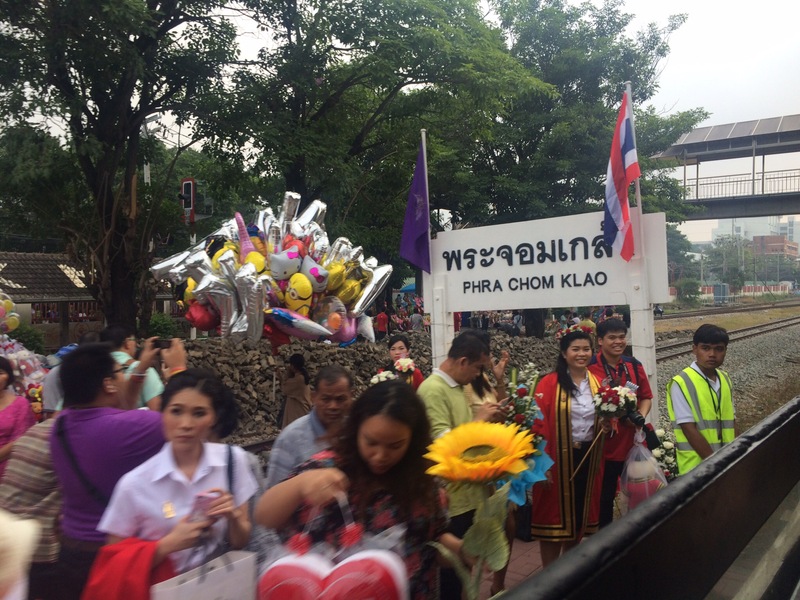 The train stopped at station after station, with some nice surprises including passing through what looked like a Graduation Day ceremony. We then pootled through the Thai countryside for many happy hours, with paddy fields aplenty, and played spot the farmer hidden in the rice. 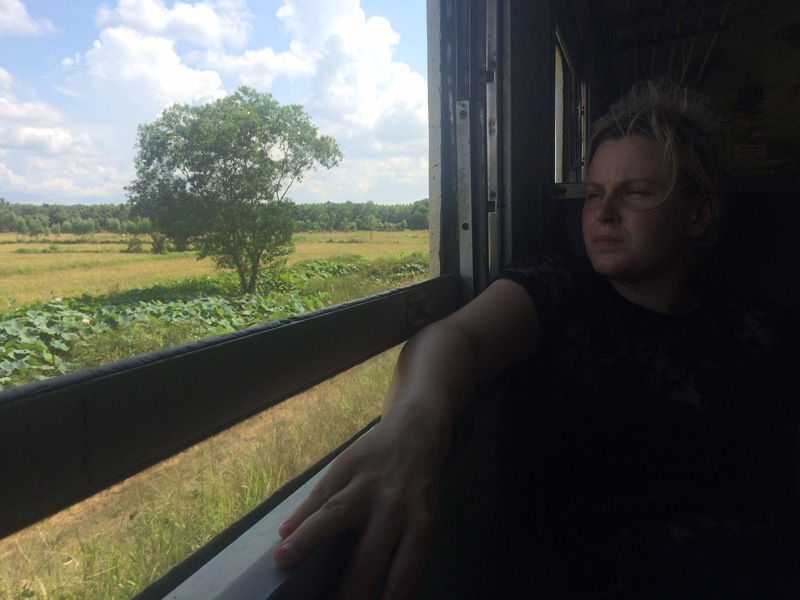 Throughout the journey there was a very welcome breeze sitting beside the window. However I didn’t realise until many hours later that the combination of dust, an open window and excessive suntan lotion resulted in an impressive dust tan. That’s a photo I’m not sharing.